New year, new apartment? Not quite — if you’re looking for a way to breathe new life into the apartment you already know and love, there are lots of great ways to make over your furniture, decor and more without buying a thing. 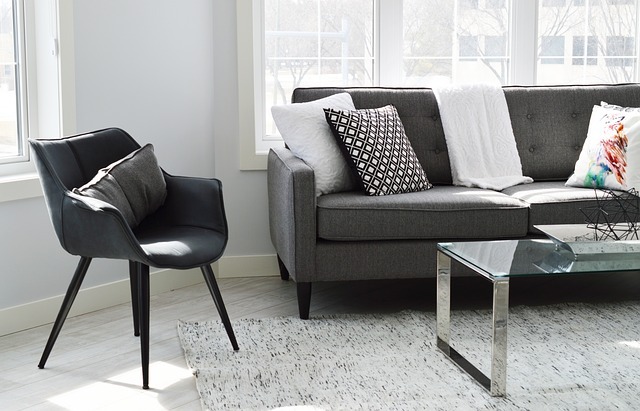 Here are are a few of our favorite tips for an apartment refresh in 2019. Give your furniture a new look with feng shui, If you’ve never tried feng shui, now is a great time to research this ancient Chinese art form. The basic principles of feng shui will show you how to best arrange your furniture in order to promote flow in your home, which could translate into better organization in your home in the new year. Go with a new theme. Whether you love the Southwestern vibe or you lean more toward mid-century modern decor, going with one them could help you to zero in on a new look for your home. Add a coat of paint. If you have a piece of furniture that you love but it just doesn’t go with your decor, try adding a fresh coat of paint to give it a whole new look. Add new hardware. Likewise, you might want to switch out the hardware on your dresser drawers or that kitchen cart to add a designer-inspired look to your current furnishings. Upgrade your bedding. One simple way to make you love your home again? Treat yourself to hotel quality bedding. Investing in a great new duvet cover and some supportive pillows will make you excited about crawling into bed each night. Dress up the windows. Whether your current window treatments are too dark and heavy or you don’t have any at all, putting more thought into your window treatments could transform the whole room. Add sheer, airy curtains if you want to improve the natural light, or put up some bamboo blinds if you like to sleep in on the weekends.